Are any of y'all obsessed with buying things in bulk? Worker Man and I have a Costco membership and I love it. Seriously. It makes me giddy to have all my shelves stocked. And bonus for Costco, they send coupons! Which makes me want to buy their ridiculously over-sized boxes of cereal and huge bags of limes all the more. 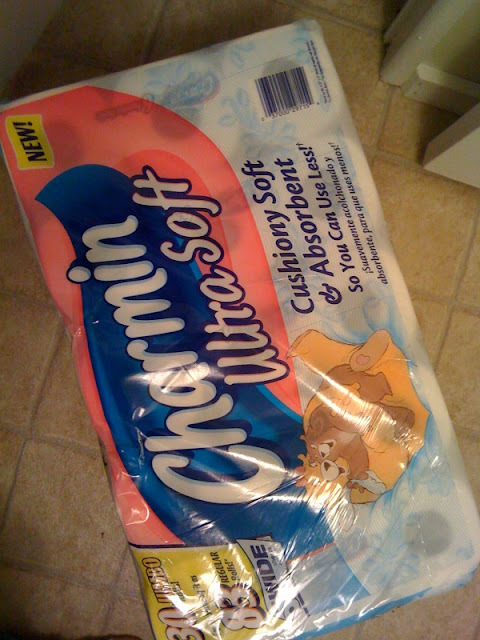 Recently they had a coupon for toilet paper. So, while we were there, we needed to stock up. Worker Man tried to convince me that we had plenty. But I would have none of that because I honestly believed that we were running low. Mom gets Steve to "borrow" toilet paper from about every hotel he goes to. 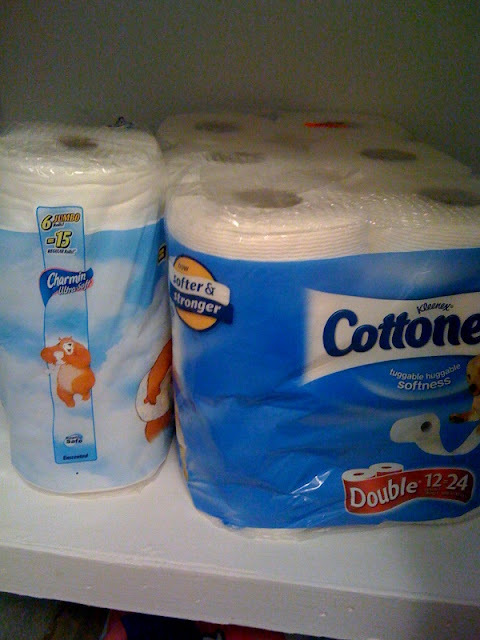 She never buys it, so if he is at home for a week, we don't have toilet paper. She'll be happy to store it for you. umm....could I borrow a roll please??! !